Eight wooden figures were originally standing on cornices in the magnificent historical horse stable inside the monastery of Salem castle. Seven of the eight figures are still preserved today and can be seen in the monastery museum. After the restoration of the “Marstall” during the last four years, the marvelous hall was to regain its original guise. For this purpose, a first figure was reproduced in 2016 and installed at the original location on the cornice. In November 2017, three more sculptures should follow. 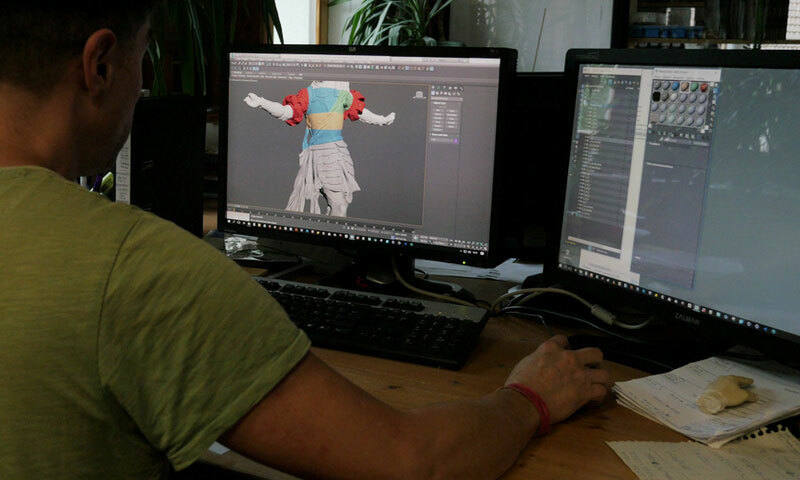 The 3D specialists of the ArcTron company were the perfect match for this task. The team possesses experience in all of the necessary areas. 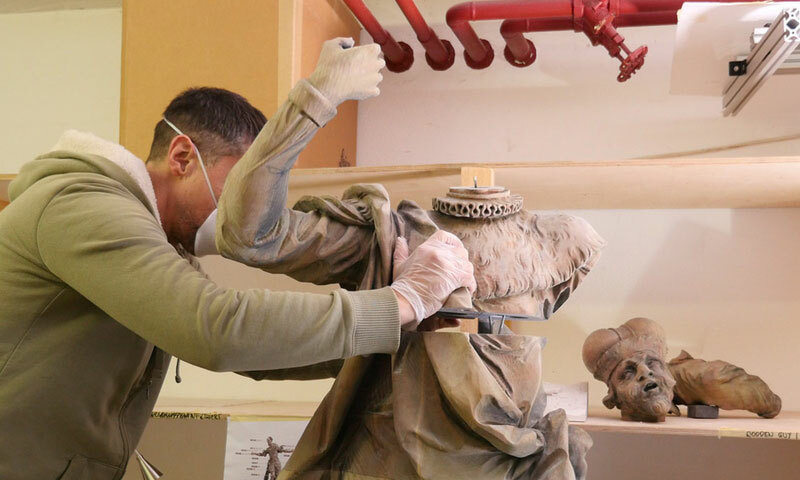 From the digitization of the original figures to the reproduction using modern 3D printing processes, all work steps were carried out from a single source. The digitization of the originals took place at the End of January 2017. The shape and color of the objects were transferred to the computer with the aid of various surveying methods. 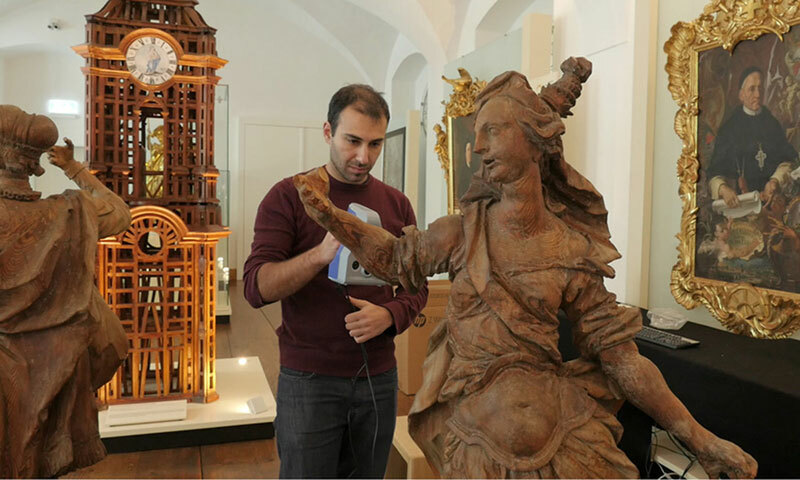 The basis for the virtual models came from the so-called “photogrammetry” method – a process in which the objects are photographed from as many intersecting perspectives as possible using special high-end cameras. 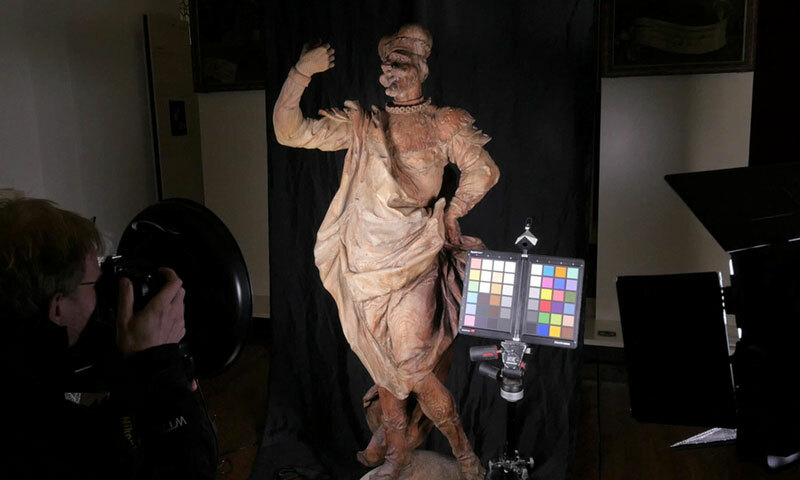 In addition, a light projection scanner and a handheld scanner were used to supplement the datasets obtained from photogrammetry. Thus, high accuracies in the 1/10 millimeter range and higher could be achieved. In a second step, fusing and processing the data was necessary in order to generate virtual images of the figures. Subsequently, the digital figures were divided into several parts to match the volume of the available 3D printing space. This division had to be planned carefully to ensure stable statics of the final replicas. The third step was the actual production of the replicas. 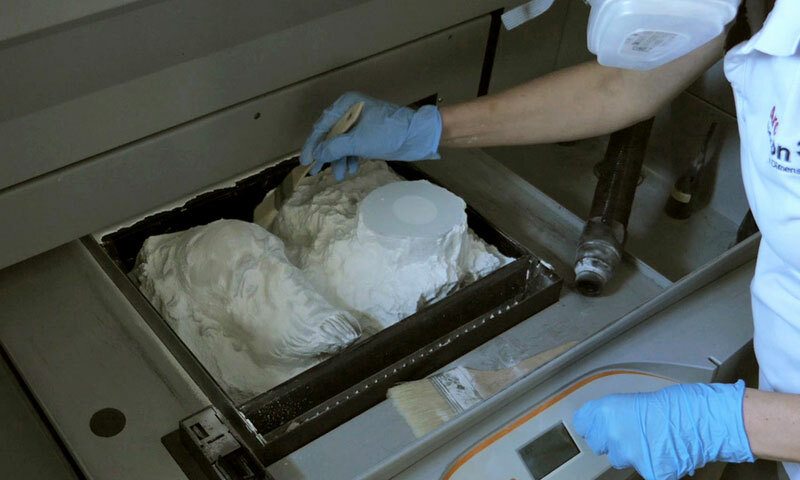 Over the period of several weeks, a high-precision 3D printer built up the individual parts of the figures in a powder bed for days and nights – layer by layer, tenths of a millimeter for tenths of a millimeter. Based on the digital model, the stored colors were simultaneously printed on the surface. After manual infiltration using synthetic resin, the individual parts had to be precisely assembled with great patience and sensible touch. The interfaces and joints were then seamlessly filled. 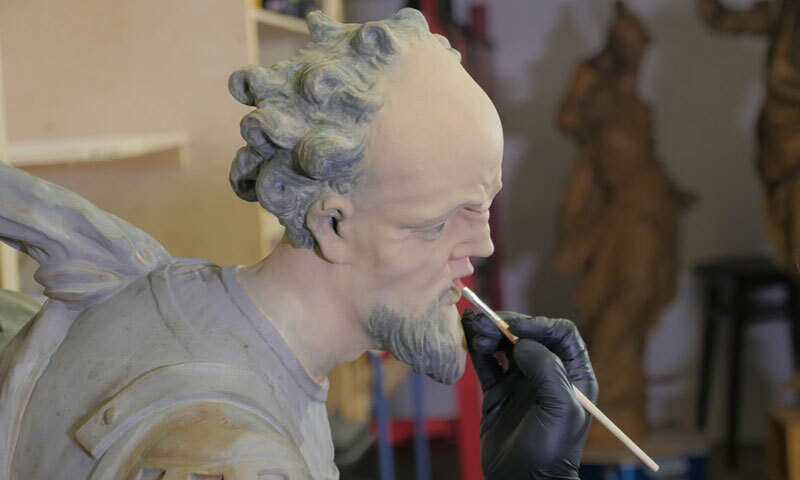 Finally the fully assembled sculptures have been given the finishing touch by a restoration painter. The artist not only made the joints of the individual parts disappear but also recreated the many details of the original sculptures. 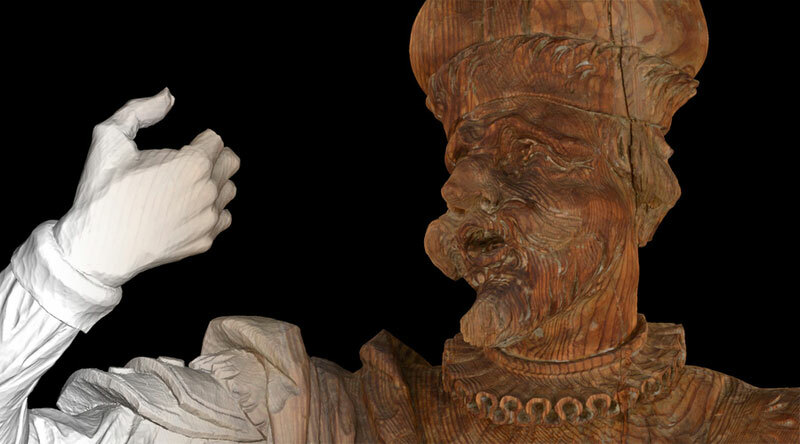 On November 3rd, the three figures took their place in the royal stable during a press event, thereby reviving the original image of the Marstall. ArcTron produced a short film giving background information about the historical hall where the replicas have just been placed as well as some insight about the artist Feuchtmayer. During the entire project, the work of the ArcTron 3D team was documented and some footage is included in this film which can be seen as a video in the Klostermuseum Salem. Four copies made by ArcTron now adorn the festive-looking Marstall of Salem castle.